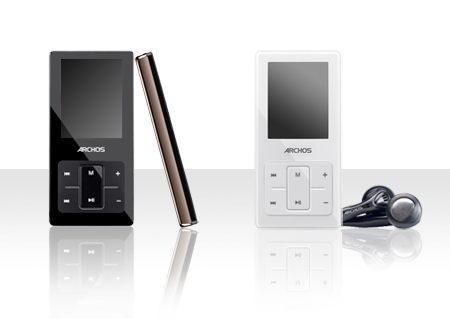 Have you heard about the Archos portable media players? The Gen 5 is not just one device, but a whole line from Archos which includes media players with rich capabilities. This includes the Archos105 which is a miniature multi media player, the Archos 405 which is a portable video player and multi media player and then the very impressive Archos 605 which is a WiFi video and multi media player. Let’s take a closer look at these devices, to see what they offer in regard to features and capabilities. We will compare storage size, functions and more to see how they compare to each other. 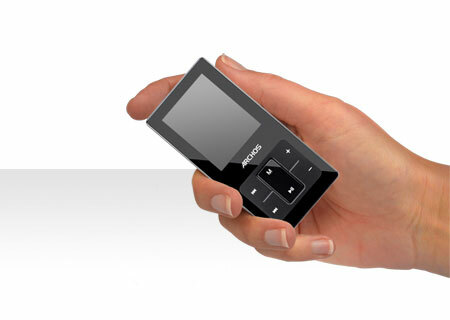 The Archos 105 is a miniature multi media player. This is for those who wish for a very small device. It is only 7mm thick. 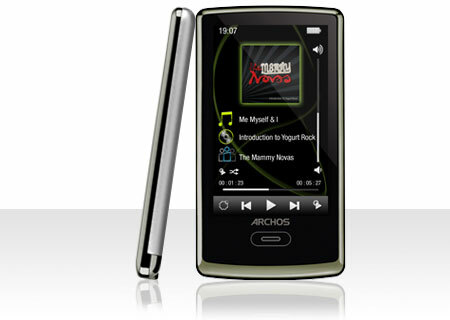 The Archos 105 plays movies, video clips and video podcasts on a screen that is 1.8 inches and full color. It has 2 GB of storage for your tunes, videos and your photos. Photos must be in JPEG format and it stores up to twenty thousand photos. It can hold up to one thousand songs in MP3, WAV, WMA and protected WMA format. It is designed to be used with Windows Media Player 11 in order to sync your music and video. The design makes it very easy to organize your songs they way you wish, by artist, type of music, title or your own personally made playlists. This all comes in a thin, smart design of red, black or silver. If you’re looking for some cool accessories, you can get the portable speakers. This allows you to share your music with your friends and while you do so, it charges your Archos and allows you to transfer files from your computer. The Archos 405 is a portable video player. It allows you to record television shows and then watch them on this clever device. It has expandable memory with its built-in SC card slot. You’ll watch this on an LCD screen that is 3.5 inches and 320 by 240 pixels. This device allows you to view, zoom and make slide shows with your photos and music. It stores a minimum of two movies, twenty thousand photos or one thousand songs. If you use up all the space holding twenty thousand photos, you will not have room for the one thousand songs, so you may choose which media you wish to store or you may split up the storage to hold all types. You can always store more on an extra SD card. This device comes in purple and silver. The Archos 605 WiFi is a portable WiFi video and media player. You can use this device to play all of your digital movies, television shows, and your music and use it to hold your photos. It allows you to record your television shows to the device and you can stream and watch video from your PC to the device. 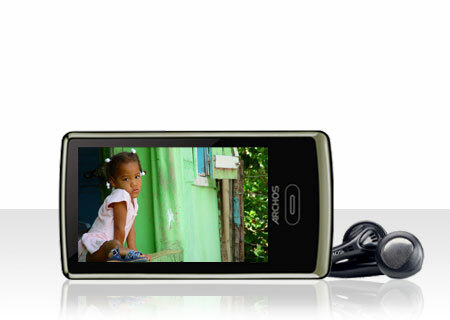 You can also download movies and music right into your Archos 605 with the Archos Content Portal. The screen is good size at 4.3 inches and is a 800 by 480 pixel touch screen. This device allows you to surf the Internet and have access to video websites such as DailyMotion. It has 4GB of storage which holds up to five movies, forty thousand dollars or two thousand songs.